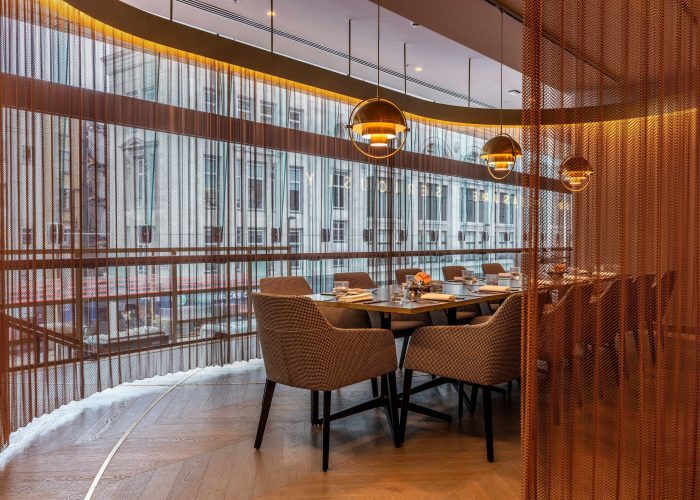 Private Dining Rooms at VIVI - Centre Point, 11 St Giles Square, London WC2H 8AP. Thank you for your interest in VIVI! 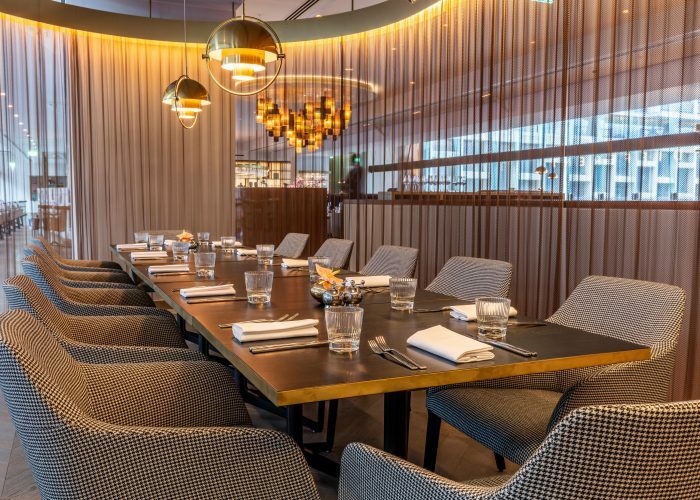 VIVI is a beautiful spacious setting available for a variety of occasion types, guest numbers and budgets. 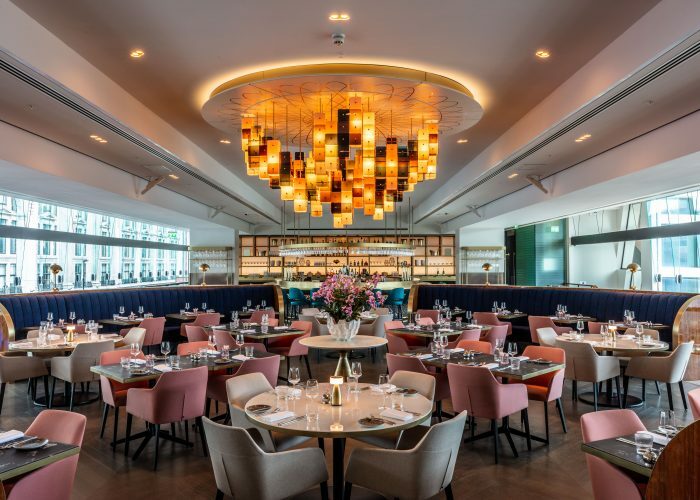 Set in the heart of London’s Centre Point redevelopment and square, VIVI’s restaurant design, menus and service style reflect this iconic landmark. 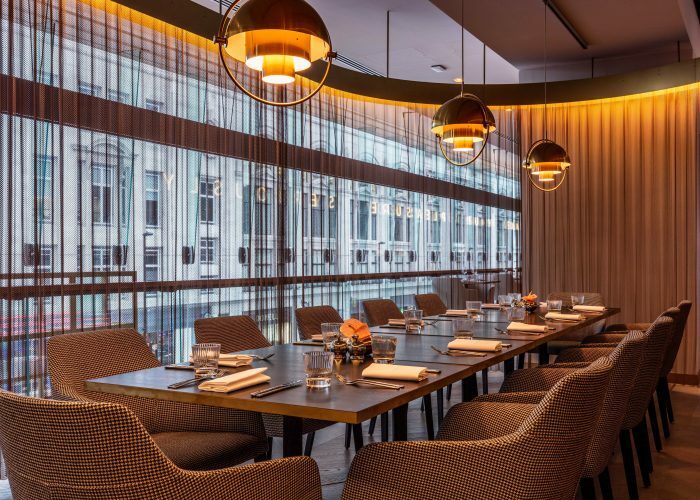 VIVI offers two beautiful semi-private dining rooms, each available for up to 14 guests. 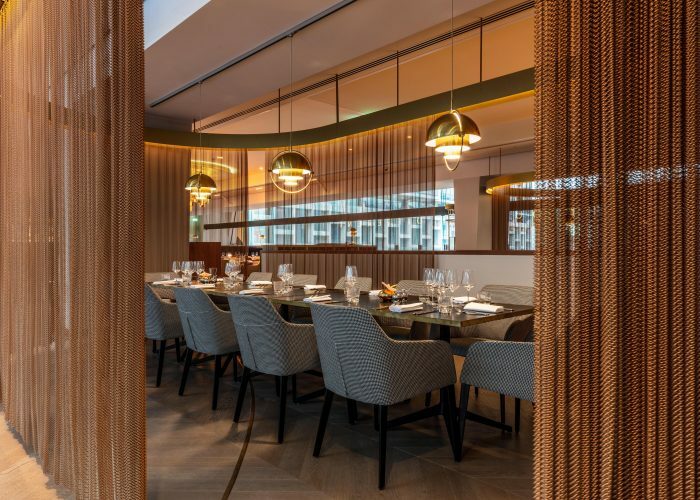 Within these spaces, delicious dishes are served which evoke a sense of nostalgia and showcase the best of British dining. 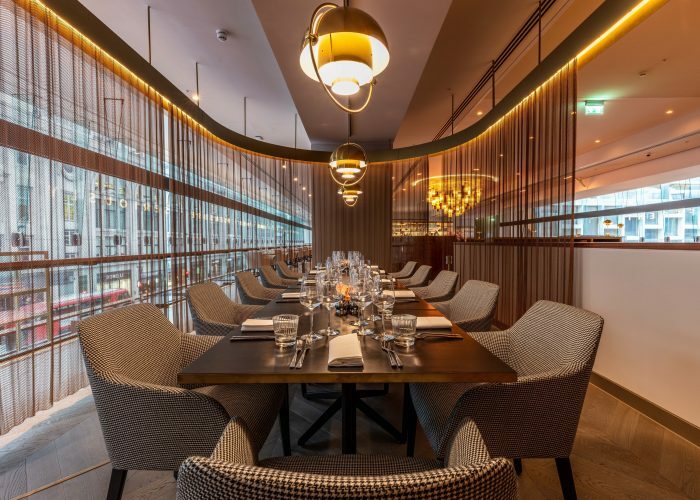 From a business breakfast, lunch meet, birthday celebration or evening occasion, VIVI is the perfect setting for celebrating special occasions. 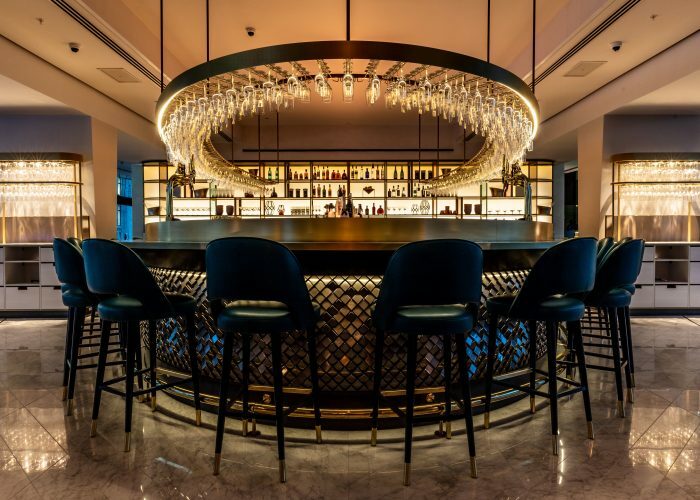 The two spaces are made private by stylish gold chains, whilst guests can still enjoy the restaurant’s bustling atmosphere.